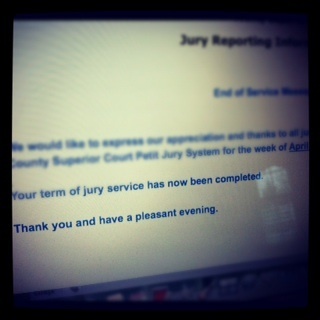 This week, I breathing a sigh of relief that my Jury Duty service has been completed. For what seemed like an eternity in purgatory, my number was low enough that I was sure I would be called, but was left “on call” for the entire week. I can handle calling the night before to check on being excused. However being “on call” for the afternoon session was insane. I work too far to wait until noon to see if I needed to report by 1pm. But according to the recording, if I work too far, I should report in the morning. However, the morning session was cancelled. UM…….What? As of yesterday, I was excused and I am now “good” for three years! So now it’s your turn. 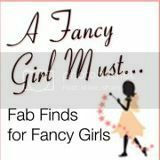 Link up with me and share your Finally Friday or visit me on Facebook and place your comment and/or photo there!